Ann Hamilton is most likely my number one most favorite artist. Her work is always exquisite and so very thoughtful and considerate from so many angles. 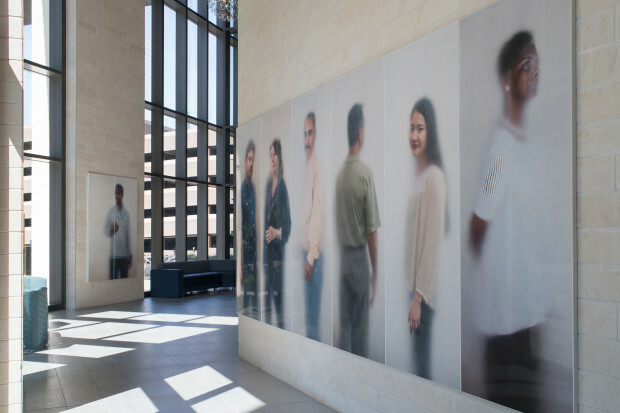 Landmarks, The University of Texas at Austin’s public art program, commissioned artist Ann Hamilton to create a community-based photography project for the university’s Dell Medical School. 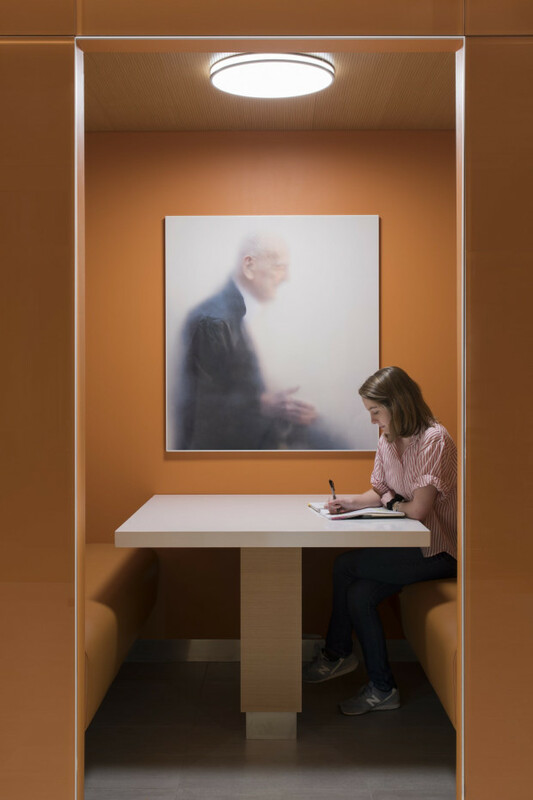 O N E E V E R Y O N E began with Hamilton photographing more than 500 participants behind a semi-transparent membrane at twelve Austin locations. 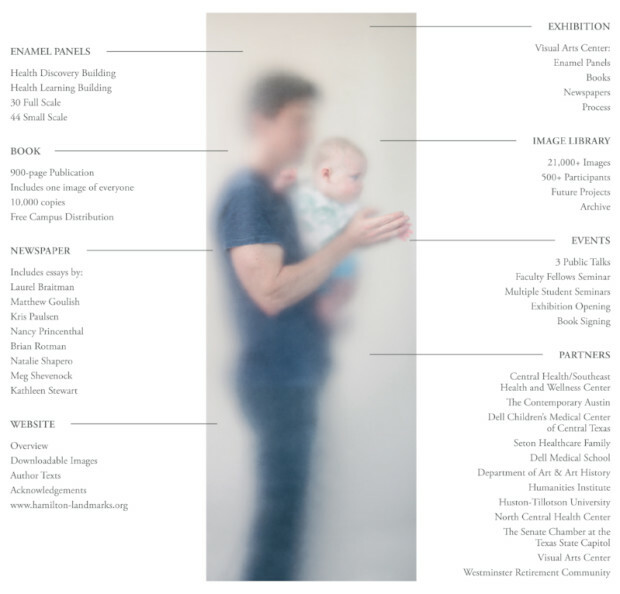 The resulting public art includes: 70 permanent, architectural portrait panels on display throughout the medical school; an image library; 10,000 copies of a 900-page artist book that circulates freely; a newspaper with scholarly texts; and a website where participants can download free portraits. Phase one of construction of UT’s Dell Medical School included three buildings, the beginning of what will become a large medical district planned in collaboration with Seton Healthcare and Central Texas Healthcare. The construction timeline for these buildings was extraordinarily quick from the onset (about 2 years), so there was little opportunity to plan ahead for the public art component. Landmarks’ goals for this project, therefore, included selecting an artist whose work could not only speak consistently across multiple buildings, but whose process would result in something flexible enough to be installed after construction was complete. Ann Hamilton’s photographic work and resulting porcelain enamel panels accomplished both of these goals. Additionally, her process and subjects speak to the school’s origins as a county-wide initiative, its ongoing ethos of inclusivity, and its goal of improving health in the whole community. 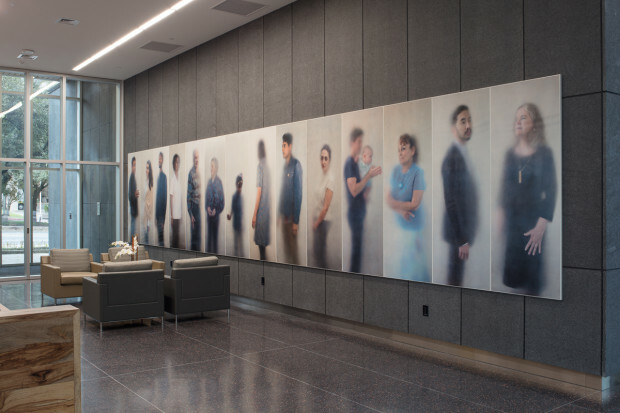 Now that the school and nearby hospital are functioning, students and faculty, patients, visitors, and members of the medical community encounter Hamilton’s ethereal porcelain enamel panel portraits, slightly larger than life size, in the lobby of each building. Hamilton’s portraits make touch—something essential to medical care that we feel more than we can see—visible. As with any public art project Landmarks undertakes on UT’s campus, O N E E V E R Y O N E required the collaboration of numerous individuals and groups. After selecting Ann Hamilton for the commission, Landmarks then received approval and support of Dell Medical School’s newly appointed dean, Clay Johnson, who championed the project on behalf of all the district’s partners from its inception. Project managers with UT’s Office of Facilities, Planning, and Construction, along with lead architects at Page Sutherland Page (the architects of record) provided Hamilton’s studio with building plans and site visits and helped identify potential installation locations. 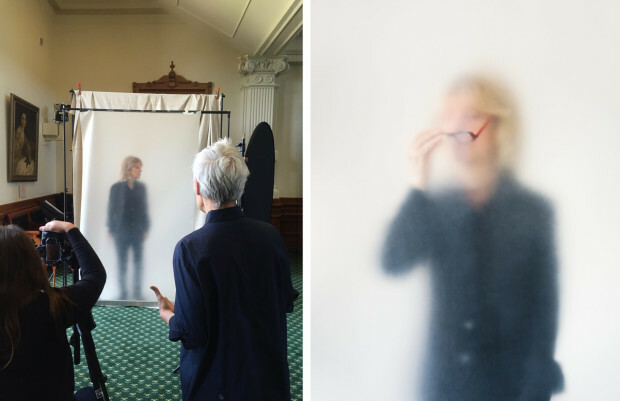 Executing Ann Hamilton’s three week-long photo residencies, which welcomed the participation of all members of the Austin community who had every provided or received care (everyone), required coordination between Landmarks, Hamilton’s studio, and staff at four UT locations and eight off-campus locations. Fabrication of the material elements of this project—the enamel panels newspaper, and book— are also the result of experimentation and collaboration between the artist and signage and newspaper printers. Ongoing dissemination of these materials requires continued coordination between Landmarks’ staff and Dell Medical School. Ann Hamilton’s project expands the idea of public art from a “thing” that you visit into a weaving of multiple forms. One intimate form was the act of being photographed. It required a close exchange between the artist and participants. 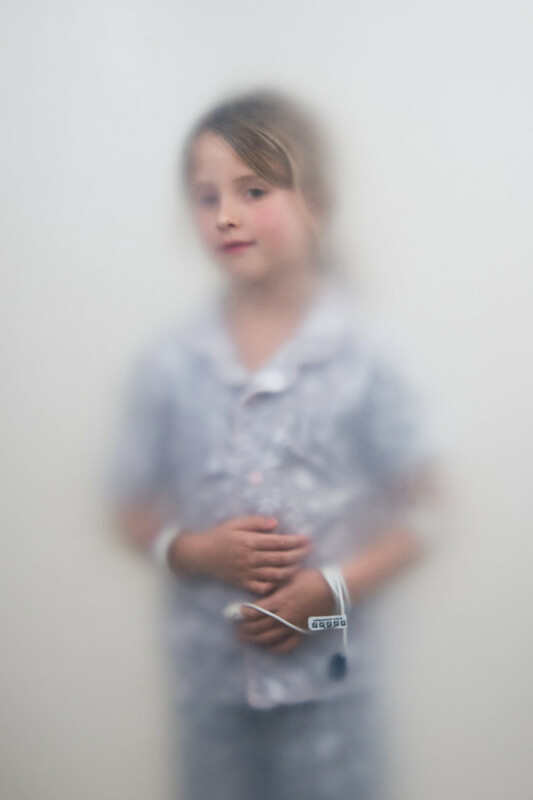 The resulting images are not only free for all to see, but also underscore the themes of touch and sharing. By handing out 10,000 copies of her artist’s book for free, people thumb her pages and pass the books from hand to hand. The website functions in similarly; anyone may have her images by simply downloading them for free.